I’m a huge fan of songs that sing to and about Jesus. 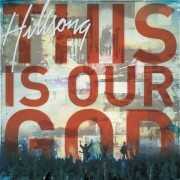 Songs that proclaim who Jesus is, what He has done for us and our need for Him. Stronger is one of those songs that tells the story of Jesus’ sacrifice and love, then builds up to a personal declaration of Jesus being Lord of all in our lives. The production and arrangement on this recording really works well in a live worship experience. I’ve also found that it’s pretty easy for everyone to find something they connect to when singing this song. When I’ve had Stronger as part of my worship set, there is a very cool sense of commonality in the room as people engage in this song together. You can get Stronger on iTunes HERE. Did you connect with this song? Is Stronger a part of your worship catalog? What response have you had to it? Our church loves this song – every time we do it the response is incredible. That’s the sense I’m getting when I lead it at different churches too. I know that I have a pretty strong connection to this song so I have to make sure I don’t fall into the “dang this song is awesome, the band is killing it, therefore people must be enjoying it” trap. Thanks for the note Chris!